As I was riding out of town a couple days ago I noticed a Katusha bus parked outside the Imperator Hotel (famed Belle Epoque hangout and yet another place Hemingway got drunk…I’m guessing, since there’s a bar named after him inside). 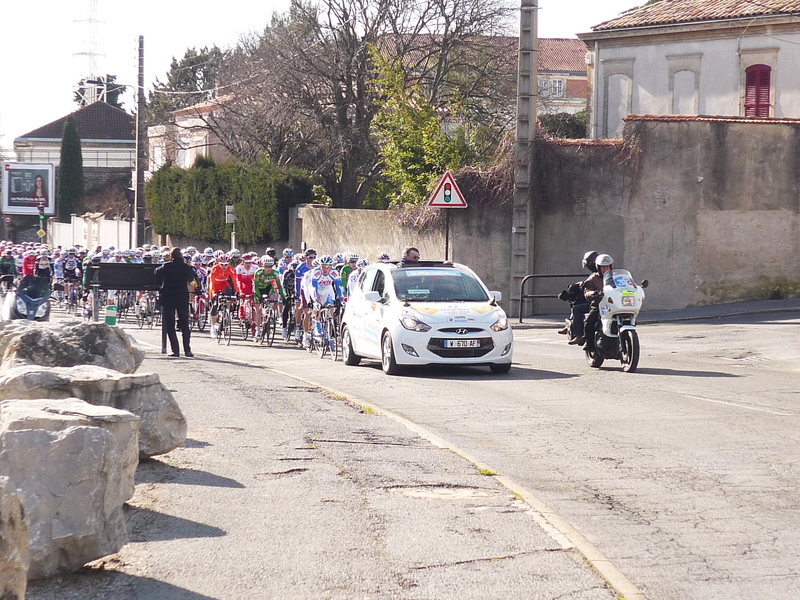 Afterwards, I checked to see what was up and discovered that it was the Etoile de Besseges, the first professional stage race of the season in France. 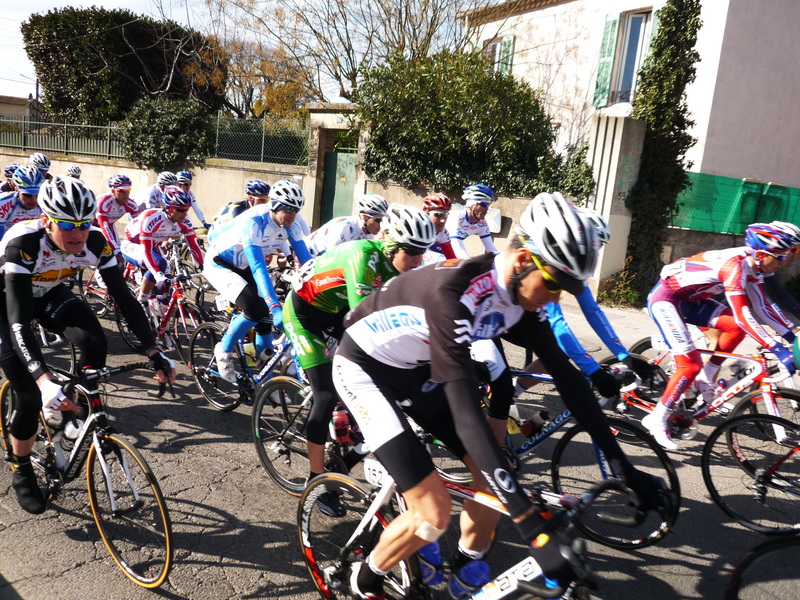 A little more investigation led to more enlightenment; namely that there is a reason that the amateur race I’m doing on Saturday is called Sur les Routes de l’Etoile – the ‘star’ comes from the pro race. 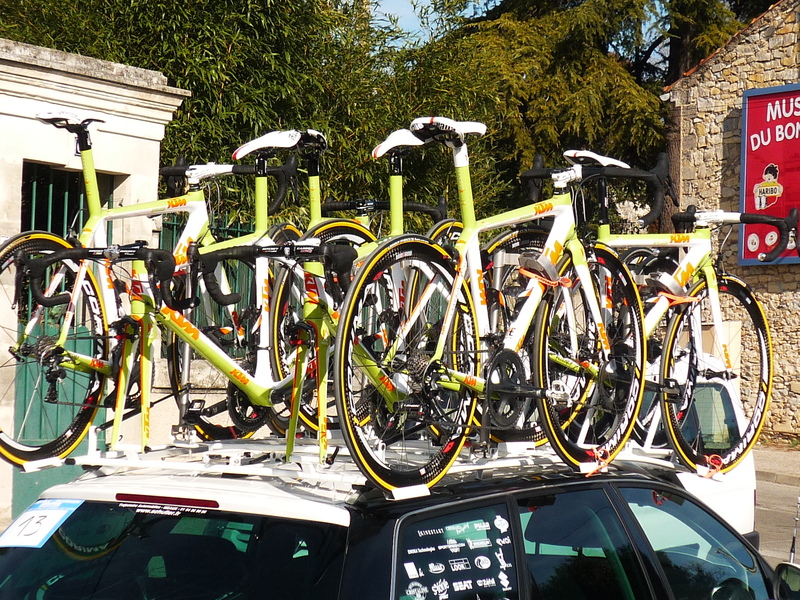 Our cyclosportif actually follows part of the pro race and, weirdly, both races (it will be stage 4 of the pro race) will leave and finish in Alès this Saturday at different times. Sounds like a logistical nightmare, but I guess this isn’t the first year they’ve done it. Anyhow, back to today. 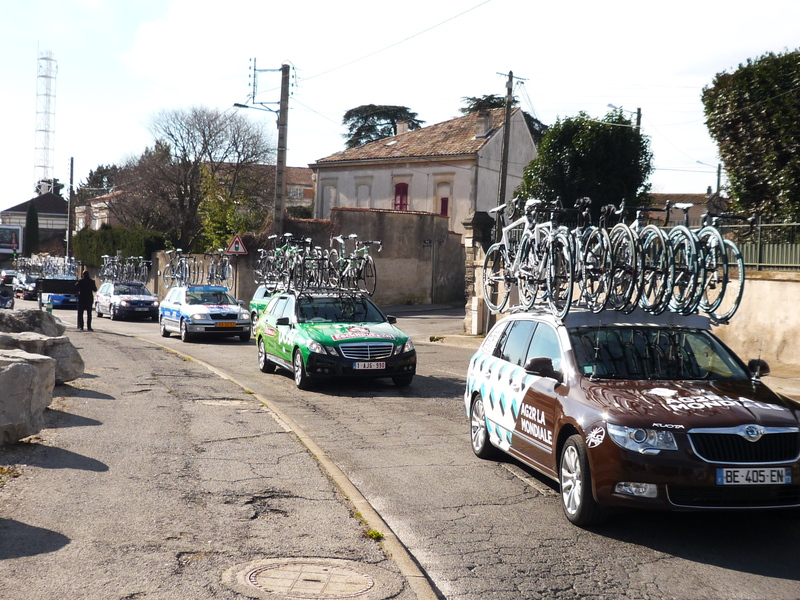 Today’s stage started in Nîmes and went right through our quartier, so I rushed over after work to snap a few photos. This race, being pro but not very big, does not warrant closed roads for hours beforehand, apparently. 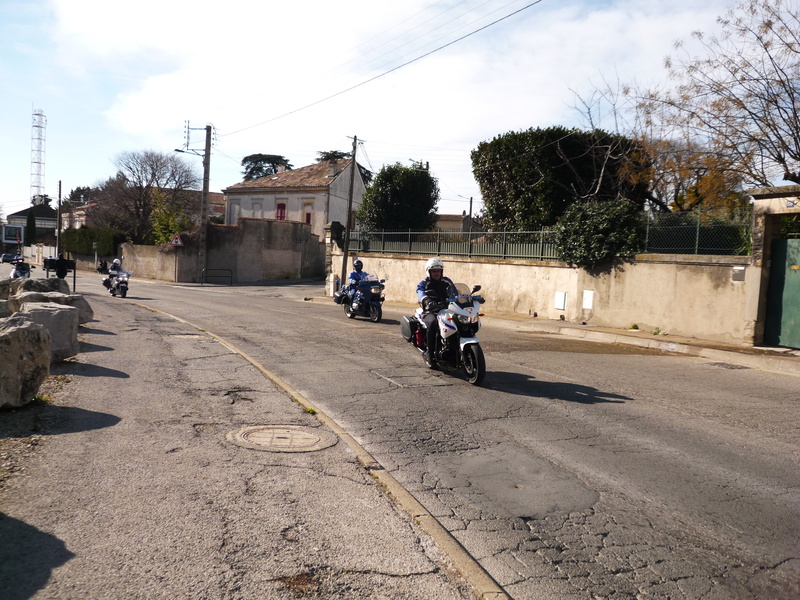 A few minutes after I showed up, there were a bunch of gendarmes on (very nice) motorcycles, speeding up both sides of the road to clear traffic. Incredibly, drivers seemed to know what was happening and pulled over and waited. Shortly after the cops passed, the group arrived. This was still the ‘false start’ that would probably end just up the road at the city limits, so everybody was still together in one massive peleton. …and it was over, all within a minute or two. I did learn something though, so it wasn’t a wasted trip – I need to dress down this weekend. The temperature is going up (15 or 16 on Saturday) and I might have to think about shorts. So, the obvious question is, should I shave my legs now or turn up hairy? Any thoughts? Did you hire a chase team? and shave…..just think of the weight savings….. Personally I’d keep the hair for warmth!! Also stops socks from falling down. PS Finally got my links page organised on my blog and put you there – hope that’s OK.
Good thinking, Steph. I don’t have clippers anyway, so it’ll have to wait. Thanks for the link. I’ve just added yours to my blogroll as well.